How do you normally store your wired earbuds after use? wrapping them around your phones or putting them back to the travel pouch. Most people will stuff directly to their pant pocket, and when pulling out the cables get messed and the chance the cable will be detached from inline control is most likely to happen. So what’s the next thing? they have to solve a lot of the knots and tangles or buy the new one. Though many earbuds today are designed with flat cable to reduce the tangle, but without keeping by a carrying case, they are still complicated. You certainly can avoid these things and if you consider the convenience and are not really very picky in term of sound quality a retractable earbuds is definitely for you especially those who often excercise. The typical drawback of retractable earbuds is they sound not very good and easily break, but most of them are quite cheap and comfortable to wear. In addition, they don’t load a lot of crunchy sound or muff bass. The retracting mechanism works just like a vacuum cleaner cord, some even come with a button for secure lock and have mic for handfree calling. Retractable earbuds can be a nice gift for your kids. Recently, the headphone maket has shifted toward Bluetooth. But This doesn’t mean Bluetooth headphones are free-cable. If you always like things neat in your pocket and listening music on the go, the affordable, stylish, retractable earbuds neckband headphones are way to go. The Dyland is foldable and the buttons are responsive. The battery is great considering the price, it can rock for 15 hours continuously. The Dyland has a clear sound profile, though it somewhat lacks in bass. The voice call quality is also positive with clear voice. The TDK Retractable earbuds comes from Japanese Brand, compared to Panasonic RP-TCM125 Ergo Fit, it fall behind in term of the performance and sound quality. The bass is muffled abit and TDK is not very durable. Since the cable is not long enough to put into pant pocket, if those of you who are very tall probably you need to clip it on your shirts. There are 3 different sizes of silicone earbuds available for snug fit. Keyring Style Earbuds allows you to hang them together with MP3 player on waist or anywhere you prefer. The cord is hosted in a solid case, and sound quality is rated as an average level with details. With this design they are great for working or running, though it also causes a bit microphonics and you feel weighty from winder. The cable is thin so you should carefully handle ’em while pulling out or retracting–I woudn’t say it’s fragile. 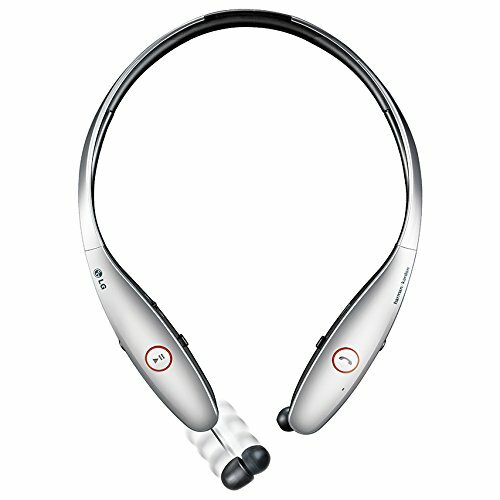 The LG Tone Infinim Bluetooth Earbuds is a neckband Bluetooth headphones, it sounds good with detailed and clear treble. When not in use you can press the button and the earbuds retract. The battery life is solid with 14 hours for playback. One cool feature that when a call comes or you are moving away from your phones, this headphones will vibrate to notify you. Because the cable is very thin, so always be careful to handle those. Recoil AUTOMATIC Cord Winder, if you own earbuds without mic, this tool will make earbuds become retractable. The Cord Winder comes with 3 different sizes(S/M/L), since the earbuds cable is thin so the S size is the most suitable. The recoil cord winder is not just used for earbud cable, but for other such as USB cable as well. However, unlike retractable earbuds, you still have to put the cable back in the winder everytime after use. 2. Put them in the hook and pull a bit, then release to let them retract. If you are not satisfied with all options above, just comment below tell us what else do you prefer?